August 6, 2013- Memphis, TN- Larry H. Montgomery has been named a Top Lawyer in American Lawyer/Corporate Counsel’s “2013 Top Rated Lawyers in Insurance Law,” based on his Martindale-Hubbell’s AV® Preeminent™ rating. Mr. Montgomery concentrates his practice in the area of civil litigation focusing on insurance coverage and financial institutions litigation. He also represents clients in the areas of insurance agent and broker liability and director and officer liability. Mr. Montgomery has litigated in state and federal trial and appellate courts in among other jurisdictions, Tennessee, Florida, Kentucky, Mississippi, Arkansas and Oklahoma. 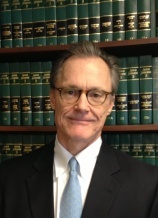 He is a member of the American and Tennessee Bar Associations.